At the beginning of 2016, Chalk River Laboratories (CRL), Ontario/Canada, which is part of Canadian Nuclear Laboratories (CNL), put into operation a Urraco 75 DK mobile shredder from Lindner on their site. 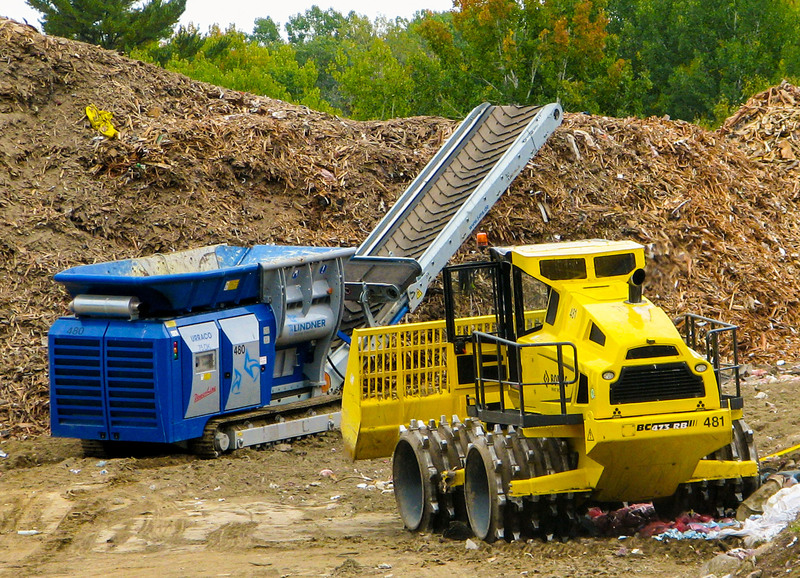 On the landfill for non-contaminated waste, which is operated by the company’s Decommissioning & Waste Management division, the shredder is in permanent use crushing wood, plastics and light materials from demolition, renovation and new building work. On the 40 km² site with around 160 buildings, this debris occurs primarily in the form of pallets, construction timber, trees and brush, asphalt, metal containers, plastic pipes and furniture. 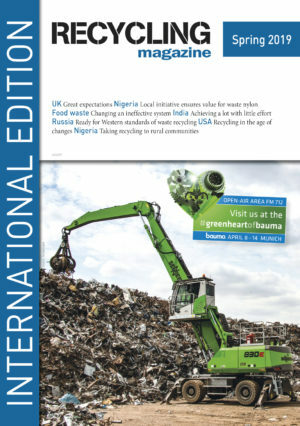 Apart from significantly reducing the volume of the waste, the Urraco also assumes the task of preparing the wood fraction into an easily compactible bulk product that can be mixed with regular daily cover material and spread over the working face of the landfill at the end of every working day. In this way, the company complies with the regulation to cover the waste collected during the course of a day with a 150 mm thick layer of wood and soil mixture, thus mitigating the need to bring in earth especially for this purpose. Because the resultant shredded material must be relatively coarse, CNL had the shredder equipped with the particularly robust HW tool shafts for final particle sizes of 200 to 500 mm. As standard, the Urraco is equipped with a contaminant recognition system, which responds within fractions of a second. Together with the reversing function, it protects the tools from damage and significantly reduces the wear and tear of the shafts and the stress on the drive system. Also part of the standard equipment is the discharge belt, the height of which can be steplessly adjusted by remote control through the hydraulic system. With CNL, a magnet is positioned above it, which extracts nails and other similar metal components for subsequent recycling. The LP 50 EH is available with two motor options, 22 kW and 37 kW. European Aluminium welcomes the European Parliament’s intention to improve compensation for indirect carbon costs through a hybrid model in the ETS vote, but sees danger in the decision to further reduce the maximum national compensation levels allowed.